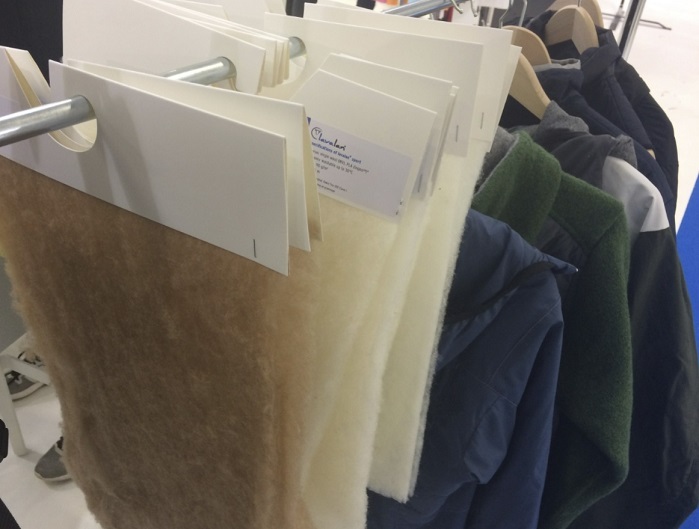 This season’s focus at functional fabric fair Performance Days in Munich was on thermal technologies and covered a diverse range of fabrics and materials, which can increase warmth or store and release body heat, as well as fabrics and systems, which can generate additional heat. 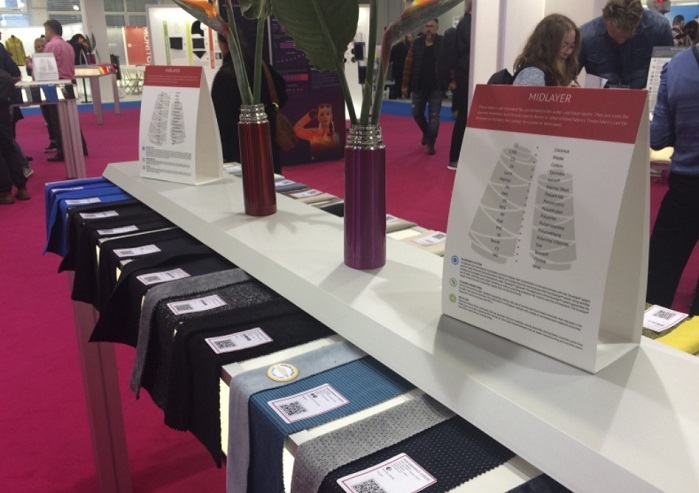 Exhibitors showcased natural, renewable and synthetic fabrics and insulation materials suitable for a broad range of products including baselayers, midlayers, outerwear such as insulated and shell jackets, and accessories. Although performance sportswear is generally associated with synthetic fabrics, there was a strong trend towards natural and renewable alternatives with thermal properties. Due to Merino Wool’s inherent technical benefits, such as moisture management, temperature regulation, odour control and comfort and shape-retention, the popularity of Merino wool-based products has recently surged in the sports and outdoor sector. 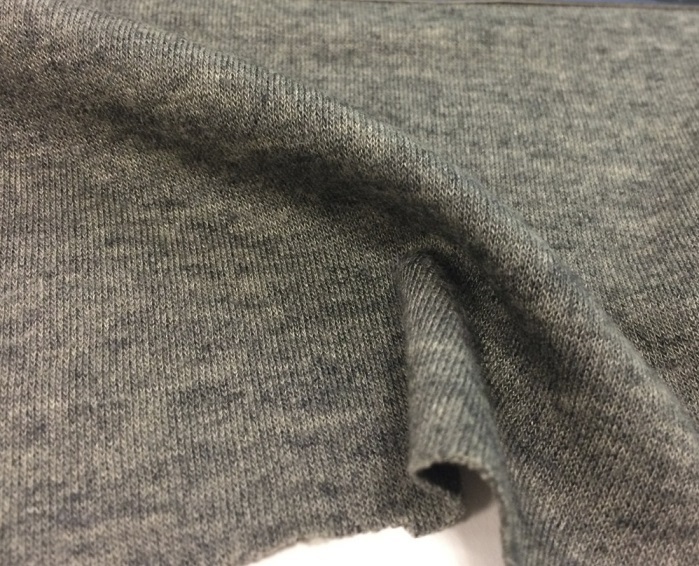 Taking natural performance to the next level, many fabric suppliers are now combining the inherent qualities of Merino wool with the additional benefits of Tencel ®. As described by Andreas Gürtler of Lenzing AG during the interactive workshop ‘Botanic performance and thermoregulation’, Merino and Tencel ® make a perfect natural combination; while Merino brings its properties of moisture management, odour control and comfort, Tencel ® wicks moisture, transmits heat effectively to keep temperature down and is comfortable against the skin. In addition, this blend is stronger, cooler and dries faster than 100% Merino, while Lenzing’s Tencel ® adds a silky handle and luxurious drape to the product. 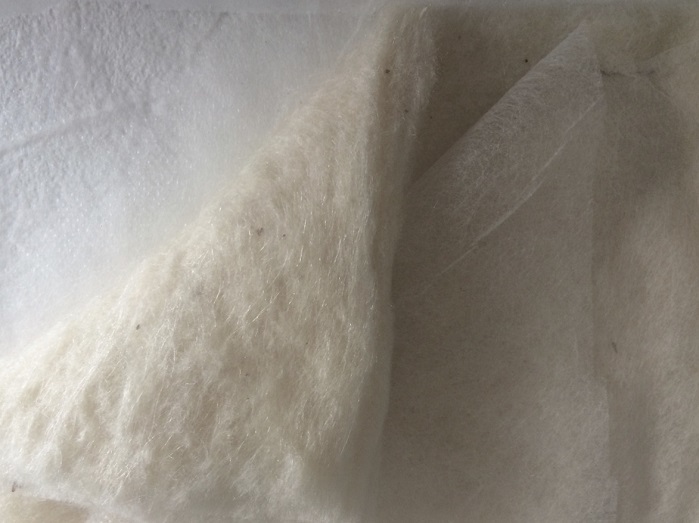 Another example of the successful marriage of the two fibres was presented at Tintex Textiles, where Catarina Rodrigues described Merino wool as possessing an inherent thermoregulation ‘super power’, which can be combined with Tencel® for effective moisture management and the elimination of bacteria formation. Tintex also utilise silk to provide natural temperature regulation, as silk acts as a permeable barrier between the skin and the surrounding air, in order to help the body cool down or warm up as required. Blends combining Tencel®, silk and cashmere are also offered with HeiQ’s ADAPTIVE finish, which provides additional thermal regulation properties, such as keeping the body cool and dry for 10-15 washes. Natural and renewable fibres were also popular for insulation materials and Baur Vliesstoffe showcased their range of wool-based waddings, which include lavalan® sport, made from virgin wool and PLA (IngeoTM) and lavalan® exquisite, made from merino, cashmere, yak or camel wool and PLA (IngeoTM). 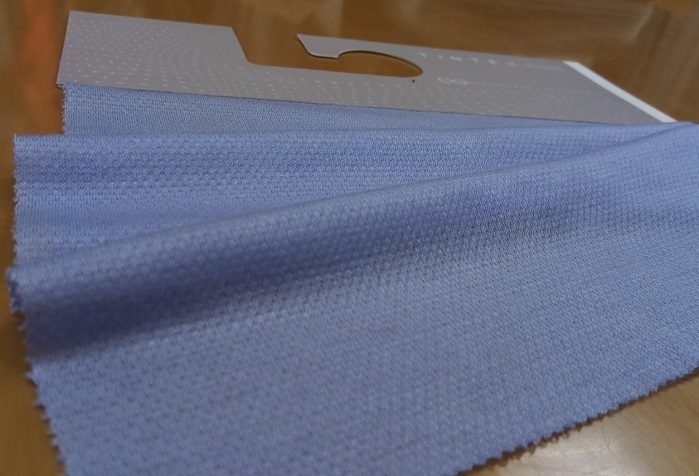 Both qualities are aimed at the sports and outdoor sector and are manufactured to be highly breathable, light and machine washable. Other sustainable approaches to insulation include Flocus, who offer a range of kapok-based compositions. The hollow structure of kapok fibres provides a unique combination of insulation and lightweight comfort, which makes it an ideal material to create fillings. Other inherent advantages include natural water repellency, quick-drying, anti-moth and anti-mite, as well as antibacterial properties. The kapok and sugarcane filling is also fully vegan and biodegradable, while kapok only requires natural rainwater to be grown successfully, therefore reducing water consumption. 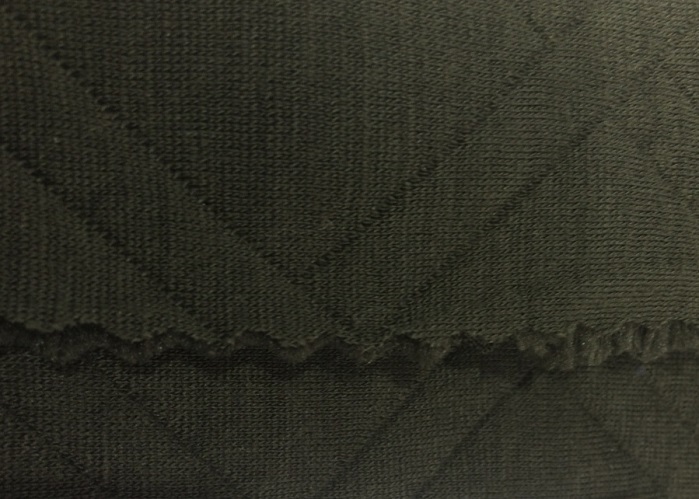 For knitted fabrics, another prominent trend was the creation of warmth and insulation through sandwiching several layers together and quilting the fabric. 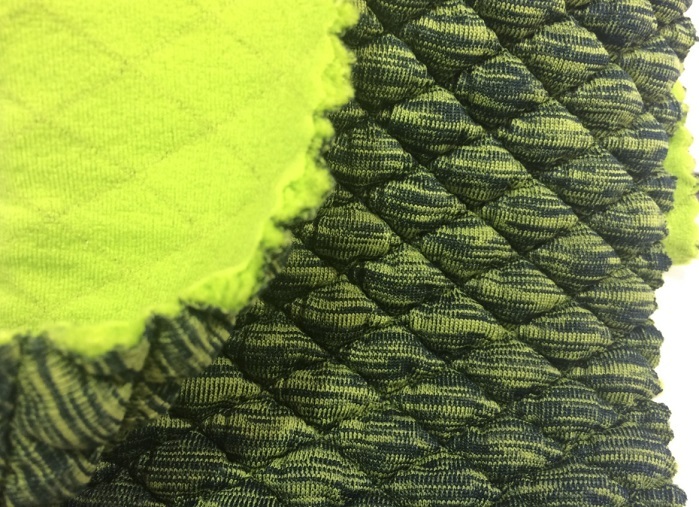 As part of their ‘3D Formations’ range, Designer Textiles showcased a Merino and polyester blend midlayer fabric, featuring a quilted pattern with integrated air pockets to provide lightweight, insulated cushioning and extra warmth. 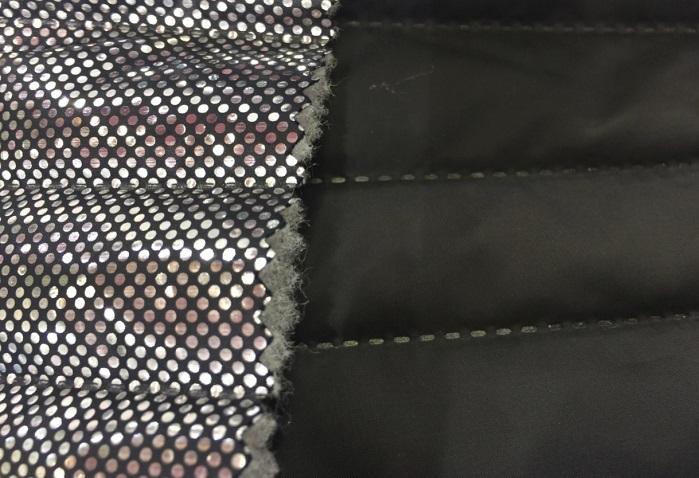 Another example was WidePlus’ midlayer knit made from polyester and elastane; this fabric combines fabric layering and quilting to create a striking visual effect, while offering the wearer comfort and warmth. Quilting also featured strongly on woven fabrics, such as Singtex’s Bluesign approved polyester material, which utilises eco²sy® insulation. This down-like material is made from recycled PET bottles and coffee grounds and provides the wearer with odour control, while enabling the production of windproof, breathable, lightweight and extremely compressible garments. 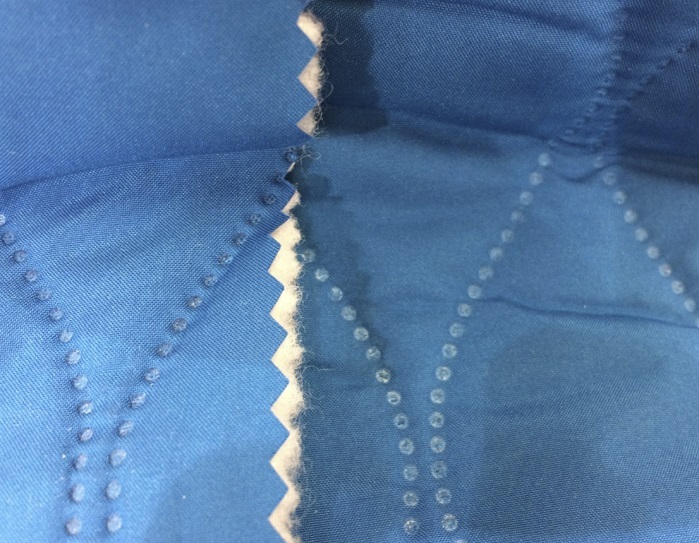 Body heat generated by the wearer can be stored and released when needed, subject to a range of technologies including printing and coating of fabrics, as well as microencapsulation into fibres and yarns. Technow have developed a printed aluminium thermal foil, which is worn on the inside to reflect the heat generated by the wearer, in order to maintain the body’s temperature. Soft insulation is layered between two polyester fabrics and bonded to the outer fabric with the help of sonic quilting. In a similar vein, Tough Knitting have developed TK-Heat finish, a thin and breathable, film-like coating made from graphene and carbon. It works on the principle of reflecting the wearer’s infrared body heat back to keep them warm and works best in combination with a lightweight brushed fleece to increase the volume for more effective heat storage and insulation. Outlast® phase change materials (PCM) are already well-known in the sports and outdoor industry, as this technology offers an effective solution to absorbing, storing and releasing heat to provide the wearer with optimal thermal comfort. To extend their offer in proactive heat management and make the PCM process more efficient, Outlast® have now launched Outlast® Xelerate, which combines PCMs with a heat spreader technology to reduce overheating and sweating. 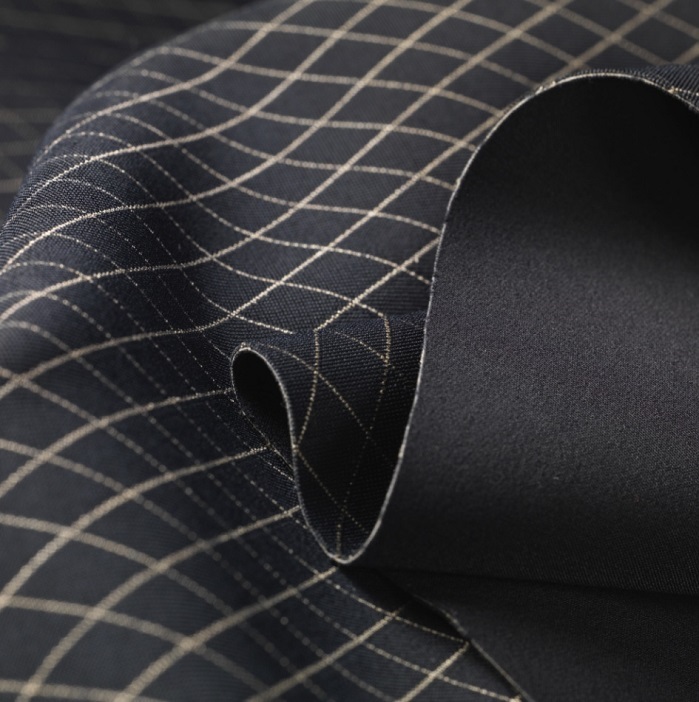 Schoeller Textil AG presented their heatable E-soft-shell material, a laminate, which consists of bi-elastic tissue, machined lining and a functional corkshell coating. 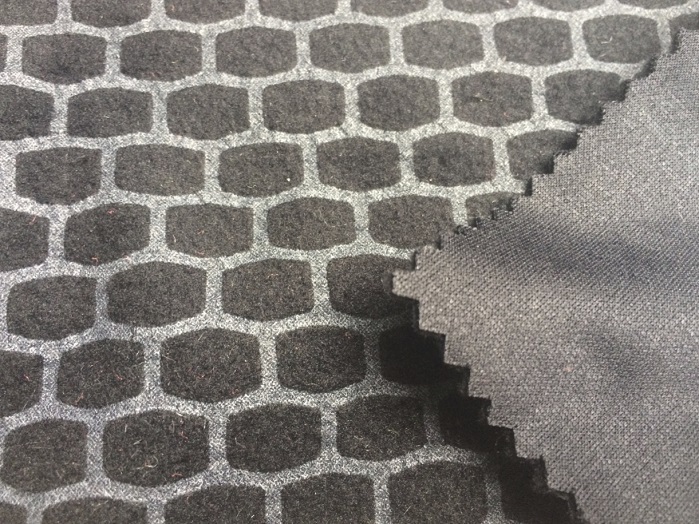 The heating technology is integrated into the fabric as a graphic, conductive pattern to enable uniform heat distribution, as well as the ability to heat specific areas only. In collaboration with the Knit Warm Company, Lenzing has produced a jacket and scarf, which were 3D knitted with Tencel® and conductive yarns to provide the wearer with dynamic warmth on demand. The material can be used in the entire product or as panels, sewn into specific areas of a garment for strategic warmth. When connected to an electrical source and activated through the controller, the material heats up in less than 60 seconds. Another solution for intelligent heat management is Flying Textile’s iWarm 3.0 system, which lets the wearer enter their desired temperature via a smartphone app. 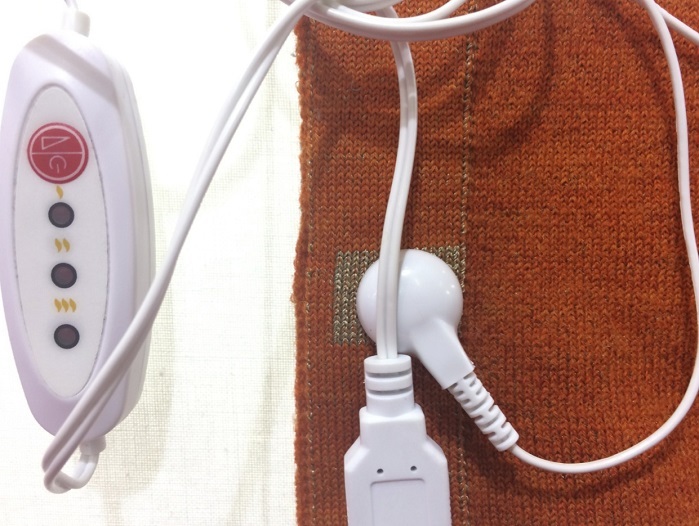 The app monitors and controls the temperature by communicating with the integrated sensors and heating elements via Bluetooth and the textile only requires 10 seconds to reach the desired temperature. As discussed during the Smart thermal solutions panel discussion, which brought together representatives from e-textile brands warmX, clim8, Inuheat and Nanogy, the development of new technologies and products to offer dynamic cooling solutions are also high on the agenda for the near future. Inside Textiles is where world leading brands with huge influence converge, informing the textiles industry of news, developments and innovation as it happens.